This week’s focus is pop-ups. As our video, shows pop-ups almost universally elicit a positive response from a user. 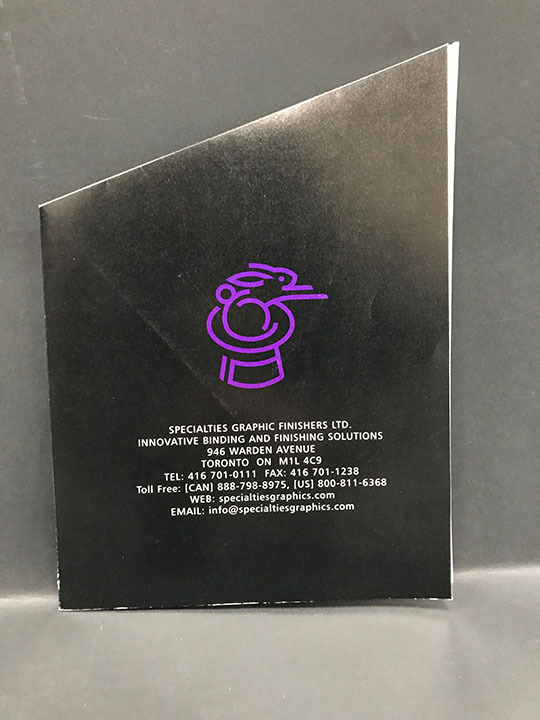 Our present day, jaded consumers, think they’ve seen it all, so graphic designers and printers need to work a little smarter to build an emotional connection through the printed image. 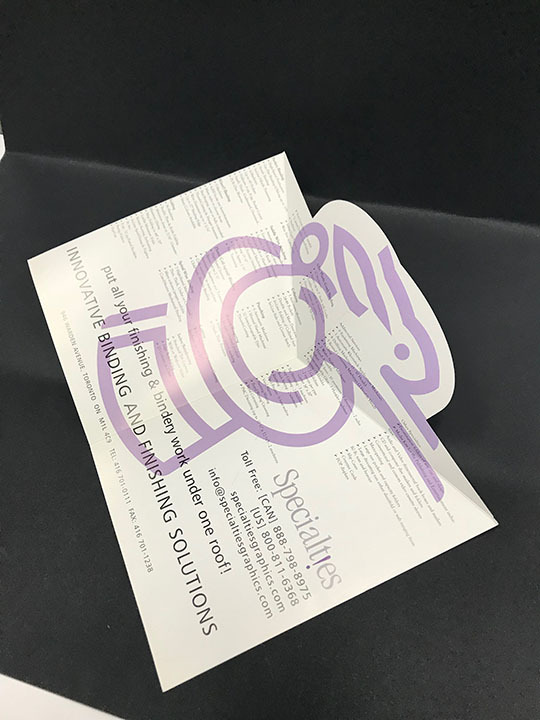 When your client’s message must be noticed it is essential to have a printed product that sets the product apart from every day “promotional stuff.” In my opinion one of the most effective formats is an interactive brochure than “pops-up” when opening! Experts tell us that physical motion drives buying emotions. Interactive pop-ups fold does indeed trigger interest and this helps drive emotional connections. 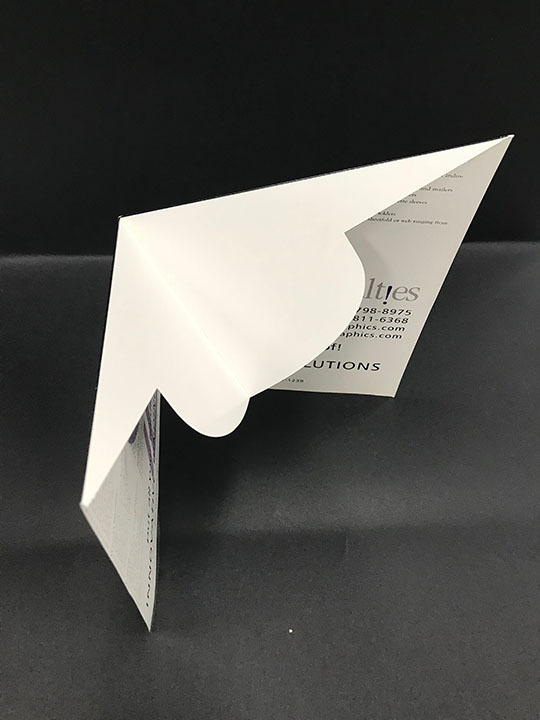 Basic 4-page: The 4-page pop-up fold brochure is easy to plan and produce and can be used as a standalone brochure or incorporated into perfect bound and saddle stitched products. A notable design characteristic of the basic 4-page style is the “missing corner” when closed. 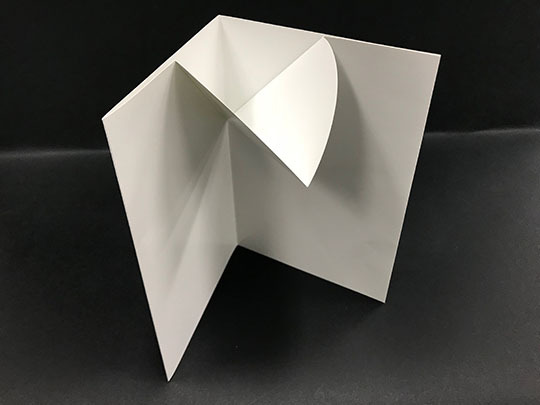 Multiple-panel: This design is where the pop-up is incorporated into a multi-panel gate, accordion or roll-folded piece. Properly designed, the multiple-panel style will temporarily hide the missing corner when fully closed and create intrigue as the piece unfolds. 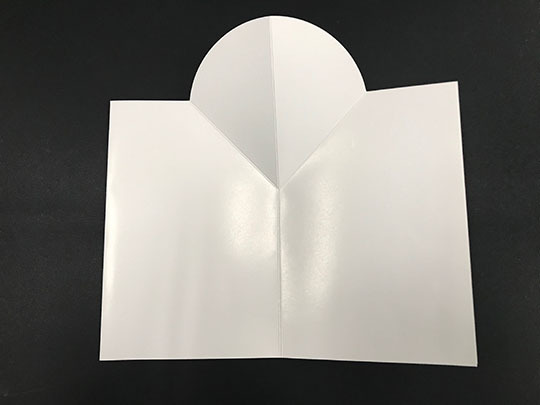 Concealed corner: This double thick, glued-concealed corner design is considered the premium pop-up style because the missing corner is permanently concealed, completely hiding the pop-up image when closed. 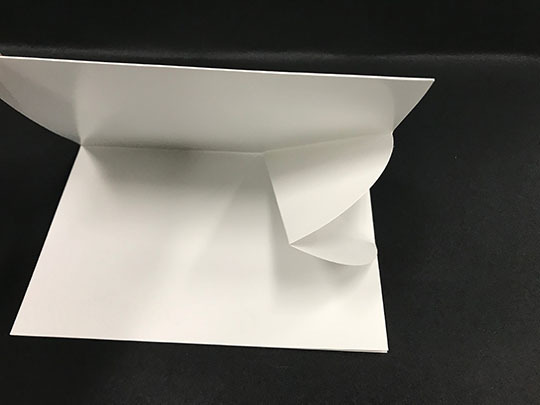 Benefits: Printed products containing pop-up folds drive emotion, and emotion helps drive desired behavior. 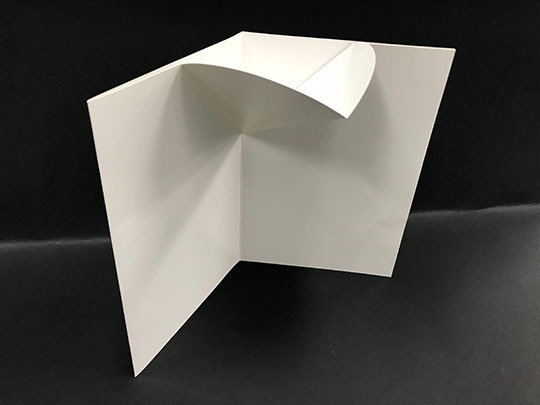 Variants: A concealed corner pop-up is an extra backing panel formed by a double parallel fold to conceal the missing corner in a standard pop-up design. Max & mins: Max pop-up width is nine inches. 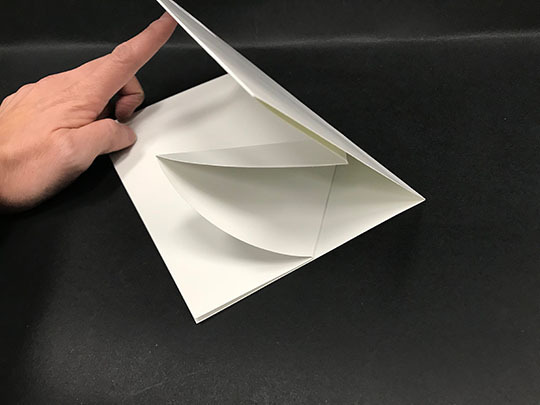 The height of the pop-up (from the bottom of the “V” to the top of the pop-up) cannot be higher than the final folded width of the piece or the pop-up will stick out of the side of the product when folded. P.S. Angled perforations are necessary. Choose a stock between 6 and 10 points. 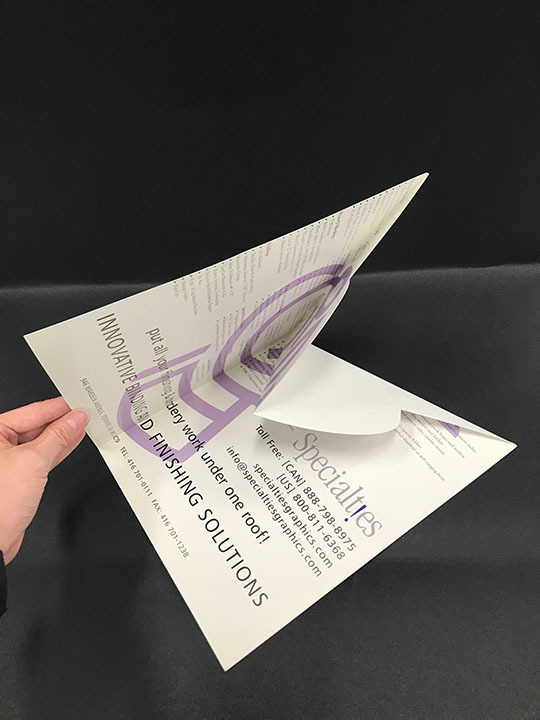 Perforation depth is always important, but especially so on thin or thick stock. Intricate die-cut patterns could impart feeding of material, reducing production speed and increasing waste.